The Reds starting pitcher is Luis Castillo. Other pitchers in line: Robert Stephenson, Jared Hughes, Kyle Crockett, Kevin Shackelford, Ariel Hernandez and Zack Weiss. Position player backups: Alex Blandino, Phil Gosselin, Patrick Kivlehan, Shed Long, Aristides Aquino, Ben Revere and Mason Williams. Bryan Price is experimenting with every player, having each one bat in different spots in the lineup. Except for one, so far. Leading Off It’s way-past-dumb to use spring training statistics to make playing time and batting order decisions for the regular season. Competition is uneven, sample sizes are small. Price says Hamilton will have to earn the leadoff spot this year. Most players have long enough track records you have a good sense of what they’ll do. But, aside from statistics, you can form an opinion about how players are performing by watching them pitch or hit. This is the final season of Mesoraco’s contract. His four-year deal covered his three years of arbitration and this one year of his free agency. 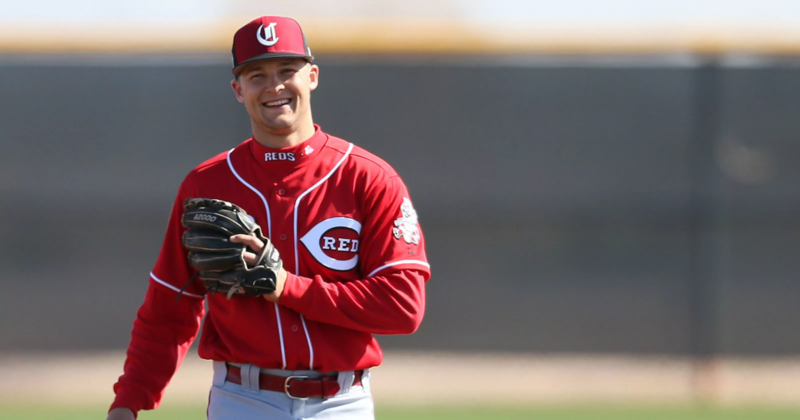 If the Reds catcher can prove he’s healthy and productive, the club might be able to trade him for something of value at the deadline this year. Chad also suggested that in that scenario there might be mutual interest in another short extension. The Reds have Stuart Turner as the third catcher in the organization. Senzel Rosecrans also had this to report about Nick Senzel’s [pictured above] defense at third base. The Reds sure have a dilemma. It’s not all their fault. After watching Eugenio Suarez butcher shortstop for half a year and third base for a full season, who could have expected he’d turn in the terrific performance he did at 3B last year. And Senzel himself seems to have blossomed on defense. Sarris: How do you square the fact that you’re swinging at more pitches in the strike zone with the fact that you know there are bad pitches in the strike zone? Votto: There’s a context to every Ã¢â‚¬Å“bad strike.Ã¢â‚¬Â Two fastballs in the same location, they’re both not bad and they’re both not good just because they are in the same location. A different look could be the angle at which the guy throws the ball, the velocity, spin rate obviously, that’s something that most people talk about. I just think of it as a guy that has a fastball that’s a little bit more difficult to time and put a barrel on. Every pitch is not the same just because of location. Great to read from a guy who’s at the top of the game and with a guaranteed contract for a couple hundred million dollars. 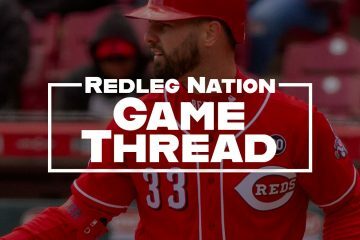 Podcast — RNR #197: Is it time to PANIC over Joey Votto’s spring production? The Athletic has been worth it to me. I know that it is strictly forbidden on this site to support Hamilton’s leading off in any way, but (1) it’s a spring game, and today is pretty much a B game, and (2) Hamilton as a switch-hitter needs ABs from both sides of the plate. The Rockies are going with a lefty, so Hamilton should get 2 ABs off a lefty today. And if he gets on, which I will grant is a big if, he will have a chance to study/steal off a lefty, which he needs to do as well, regardless of how one may think he needs to be used. I think the big story today will be Bob Steve’s performance. Whether those on this site chose to support or call for someone else to lead-off is all up to Mr. Hamilton. Billy can hit 1, but he should no longer be switch hitting. He should see the ball from only one side of the plate. Short of those changes, he will be what he is and has been and therefore, should be relegated to batting 9th, PH late in the game and not facing left handed pitching. I disagree. Billy Hamilton was a RH hitter his whole life up until the Reds converted him to a switch hitter. I’m speculating here that you are talking about him hitting strictly from the LH side. He’s probably never seen more than a handful of pitches as a LH hitter from a LHP and likely zero in an actual, competitive game. I don’t think it’s as easy as just giving up switch hitting. At this point, even going back to hitting as RH only, would be difficult. Thank you! Winker is 7 and Dixon is 8. Both of them have hit this spring. Spring TRAINING is about just that, getting guys like Rosell Herrera (?!) ABs, as well as Hamilton, not to mention keeping him happy batting there for now. This lineup isn’t out there for a pennant race, which seems to be lost on some people somehow. Steve, the Athletic is another of my daily reads, along with here. No apologies necessary for recommending excellent journalism. I often recommend it and, to my fellow Reds fans, Redleg Nation. The commenters are also, like here, informed, passionate, and worth talking to – C. Trent Rosecrans even mentioned recently that it’s nice to see a site where people aren’t just “spewing venom” and I agree. It’s absolutely worth the price and the tagline fits – fall in love with the sports page again. Dilson at 2nd and Devin catching…..someday maybe? I have zero expectations for either one so anything is a bonus!! Hard to see Mesoraco getting an extension here. Stuart is better defensively and if he shows any improvement offensively will be the backup next year. Big year for Stephenson and Okey to prove they’re legitimate prospects for 2020. I like Devon, just tough luck with the injuries. Can’t see him staying consistently healthy. Turner is just so woeful offensively, that he will need to improve exponentially as a hitter just to achieve backup status. Those 2 prospects are still in A ball. If Tucker goes down, they are in a world of hurt. If he is willing to be a back up catcher and paid accordingly I am all for it. Would be a great pinch hitter on his off days. But the truth is he is probably a DH in the making. I admire Votto’s drive to work on his baserunning, but I’d rather see him station to station and stay healthy. Most of his blunders seem to be trying to take that extra base. The only lineup Price has never been willing to experiment with — in any game, anywhere, ever — is the one where his four best hitters occupy the top four spots. Doesn’t even want to know what might happen. This exactly. He’s completely opposed to giving his best hitters the most at-bats. And the fact that everyone KNOWS it will carry over into the regular season is maddening. Looking at today’s lineup, I get the distinct impression that the Reds are focusing on the decisions regarding the utility IF and OF positions. Unfortunately, this looks like a situation where the decisions are being made based on meaningless ST performances. Herrera and Dixon have not produced anything close to a .900 or even .800 OPS since 2015 in the minor leagues at low A and high A ball respectively. Pennington appears to be competing based on his veteranyness because he’s never hit anywhere over an extended period of time. I made a similar observation below. The battles for the bench will be fun to watch play out over the 2 weeks. Really wish they would consider Gosselin, he can hit. I want guys on the bench that can drive in runs not “glove men”. Joey’s hitting approach is so interesting! You can really see the wheels turning when he’s up at the plate! You could almost compare it to a top notch poker player. They’re patient and they’re looking for a weakness. A raise from 1 guy can mean something completely different then the same raise from someone else….depending on their playing style. Its all about being observant and taking advantage of their errors and you can’t control all the random possibilities, but just know that good decisions over enough time = success! You mean we don’t have to expect Joey to slash .071/.333/.071 for the season? Castillo and Stephenson will be challenged by the AZ geography. That’s as much a test of character, perseverence and fortitude as physical talent and capability. Wow. There is just a killer competition going on for the 5 bench spots. Only 2 guarantees at this juncture. A backup C and one of the 4 OF in the 4 man rotation. That is 10 guys busting a gut to win one of 3 spots for the bench. These are the battles that will be worth watching over the next 2 weeks while others are “getting their work in”. A nice bench can be constructed here with what the Reds have to work with. That doesn’t even count in Senzel, Long, Aquino, and Elizade. Man I like Elizalde. The guy can flat out hit. He’s a so-so corner player defensively however and he doesn’t have the power to make him a legit prospect with that profile. I’d love to see him make it though, with somebody. I guess we get to look forward to two more weeks of this nonsense. Could Castillo be the 1st starter to go 4.0 IP today? He went 2.2 last time out and thru 2.0 today, he has 1-H, 1-BB & 2-SO. Price gave him a shot at 4.0 IP, but Castillo started getting knocked around and his pitch count started elevating. 3.2IP w/ 5-H, 2-BB, 4-SO, 2-ER, 66 pitches. Runner in 1B with 2 outs. I like Price as a pitching coach. He knows how to handle and coach elite guys- just not the younger guys who don’t have it figured out. Looking forward to the next phase of ST when guys get 4 at bats and pitchers go 5 innings and the regulars play against the regulars. Its amazing to look at Hamilton’s 2017 numbers compared to career numbers. Its exactly the same. Baseball being what it is….he will probably go 2-4 against Scherzer on Opening Day and get more hits in the first home stand than he will all of ST. Yet. When all is said and done , his slash line will be the same. Is there anyone who thinks he should hit leadoff? My sense is the discussion is really about him hitting 9th and playing CF and how much he should do THAT role. As Woody Hayes proclaimed so eloquently, “You Win with People.” Does a great coach make great players or do great players make a great coach? Gameday is up with pitch tracking! 27 pitches for Castillo thru 2.0 IP. Yea I just learned the other day that a 2 seamer has downward movement… I never knew that before. What’s the difference between a sinker and a 2 seamer, velocity or grip? Grip and finger pressure. 4-seam fastball is held with the fingers across the seams. 2-seam fastball is held with the fingers along the seams and finger-pressure is applied to sink or ‘cut’ the ball some… Grip is what actually affects the velocity. Usually a 2-seamer is a tic or 3 slower. 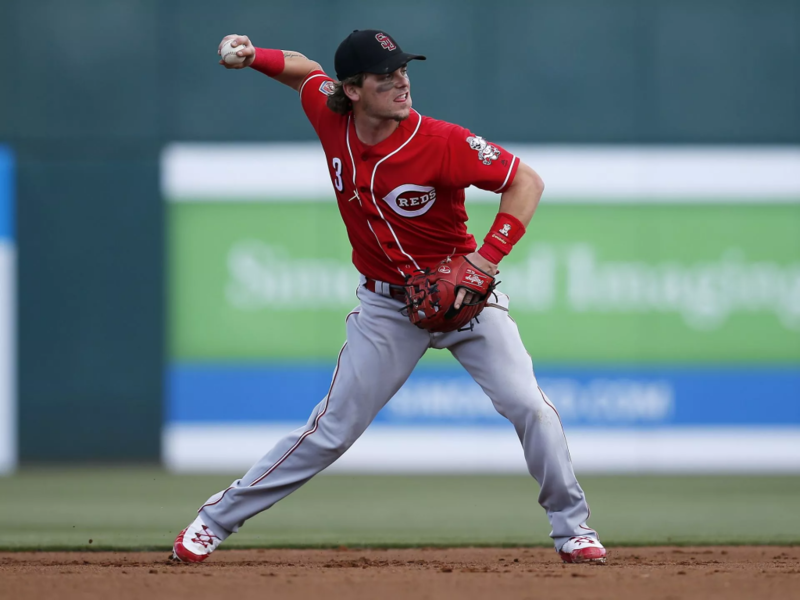 Position players, especially infielders are taught to grip the ball across the seams (a 4-seam grip) because the rotation through the air when the ball is gripped that way, gives the ball a truer path through the air. 2-seam grip will often make the ball dive, or slice as it cuts through the air. Rotation/spin is also obviously different. Jesse Winker played a full 0 innings today going 1-2 w. 1-BB & 1HBP. I don’t think anyone else has played a full 9 innings this spring. Crockett needed some time on the hill today, otherwise Stephenson would have been the first pitcher to go a full 4.0 IP. Stephenson threw 3.0 IP w/ 1-H, 0-BB & 3-SO and just 31 pitches (22 strikes). Nice game for Winker and Stephenson today. That’s pretty good production, considering Winker played a full 0 innings. Winker had the kind of line that Choo used to have back in 2013. I am and have always been a Votto fan I was even happy when he got that massive extension at least for a week or so thinking about it! The point is a huge fan of his God given talent!!!! The amount of work and studying the science of his craft is mot only a big reason for his success it is THE REASON TJAT I am such a huge fan!!!!!! Does anyone know for sure wants to see BH batting leadoff, is BC, DW, Price or Long? Surely one of them has to say this is stupid. RLN has some pretty good writers. A lot of stuff Saris talks about in his pay-for-read article was pointed out last year on this very website. We do it for the love of the game here at the Nation, haha. That’s what I think makes this site so extraordinary. It’s free and yet you have very talented writers who are doing this as a hobby and also intelligent, thoughtful and (by and large) civil exchanges from commenters. I haven’t found anything quite like it on the internets. Really like the Athletic. Great coverage of MLB and College Basketball. This site along with The Athletic works for an out of towner like me. Think the pitching is shaping up better than expected. Stephenson apparently pitched well yesterday. Bailey, Disco and Finnegan seem healthy.